Currently majority of interbank mobile fund transfer transactions are channelised through NEFT mechanism. Under NEFT, the transactions are processed and settled in batches, hence are not real time. Also, the transactions can be done only during the working hours of the RTGS system. To overcome the above constraint, National Payments Corporation of India (NPCI) has introduced Interbank Mobile Payment Service (IMPS) from 22nd November 2010 after carrying out a pilot study involving some select banks. 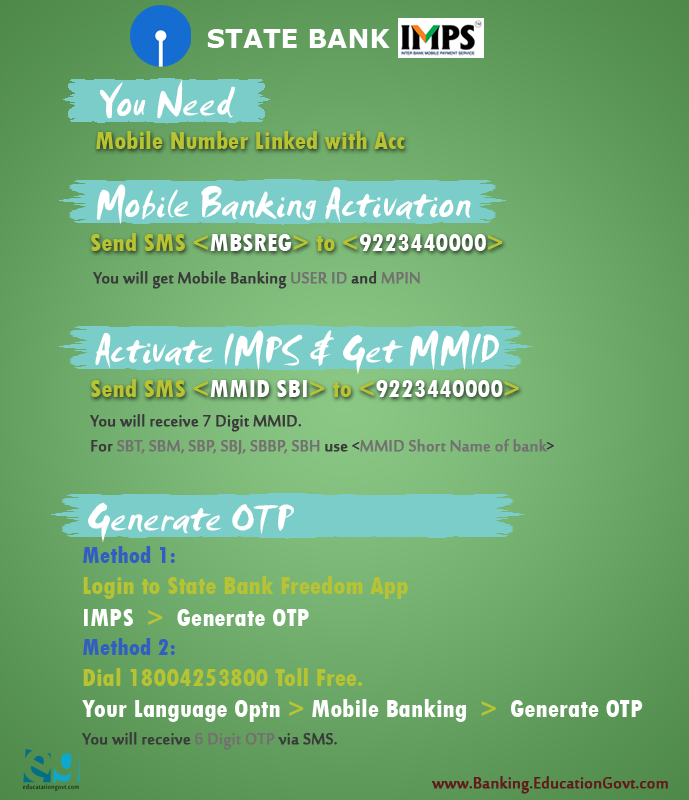 IMPS offers an instant, 24X7, interbank electronic fund transfer service through mobile phones. IMPS facilitate customers to use mobile instruments as a channel for accessing their bank accounts and put high interbank fund transfers in a secured manner with immediate confirmation features. This facility is provided by NPCI through its existing NFS switch. · To build the foundation for a full range of mobile based Banking services. Beneficiary has to link his/her mobile number to the account in the respective bank and obtain Mobile Money Identifier (MMID) from the bank. 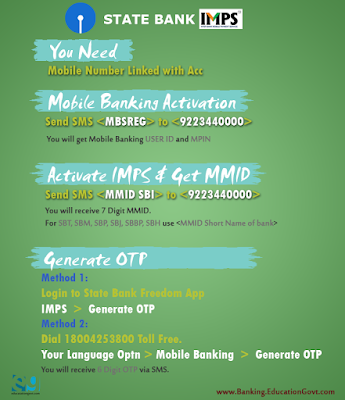 There is no need to register for mobile banking service.